Put on your zombie skin-suit and join Young Hollywood at PaleyFest to hunt down the cast of AMC's hit horror series, "The Walking Dead"! 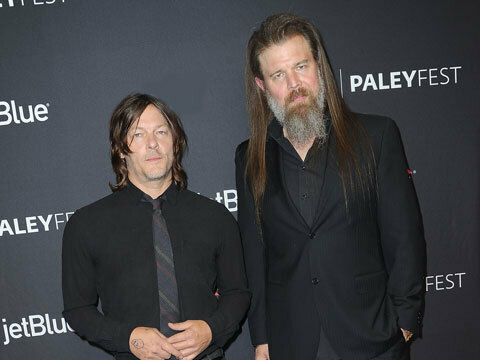 We chat with Norman Reedus (Daryl Dixon), Ryan Hurst (Beta), Christian Serratos (Rosita), Lauren Ridloff (Connie), and Eleanor Matsuura (Yomika) about all things Season 9 and what we can expect from Season 10! Plus, the actors reveal their go-to craft services snack and describe the most recent season in one word!